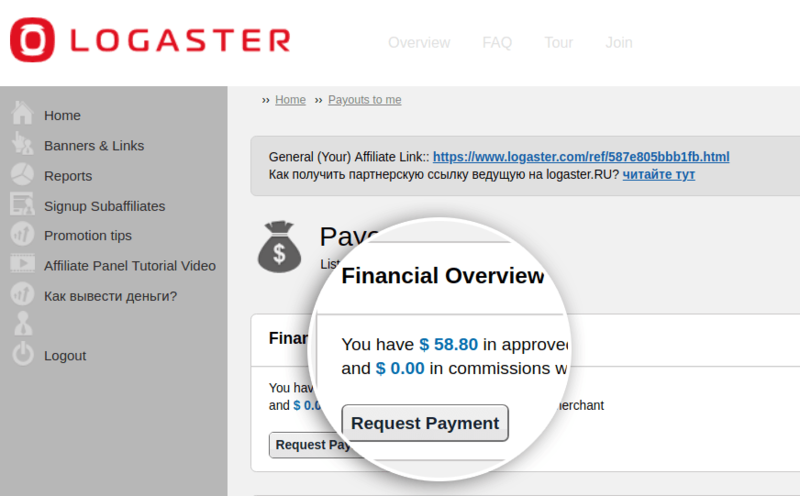 The Logaster affiliate program allows partners to monetize their audience and earn commission from each client. Track the success of affiliate links and the total revenue from sales in the personal partner’s account. 1. How to sign up for an affiliate program? 2. How to lure customers? 3. How to receive payment? 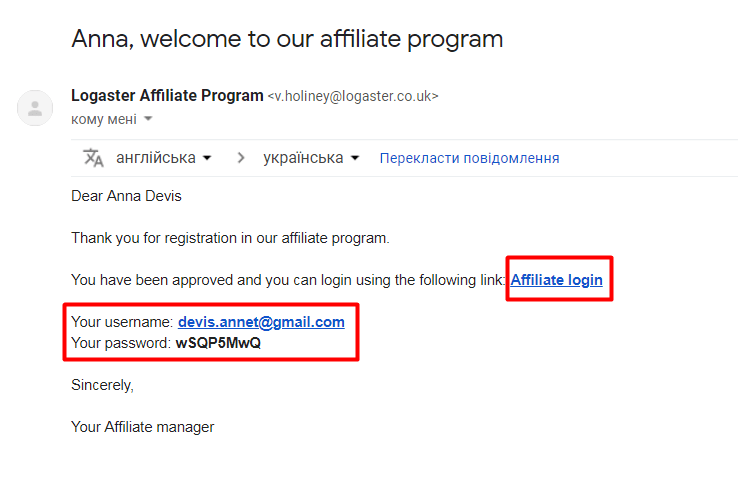 How to sign up for an affiliate program? 1. Go to the registration page by clicking here and then by clicking “Affiliates sign up”. 2. Fill in all fields with personal information in the registration form. 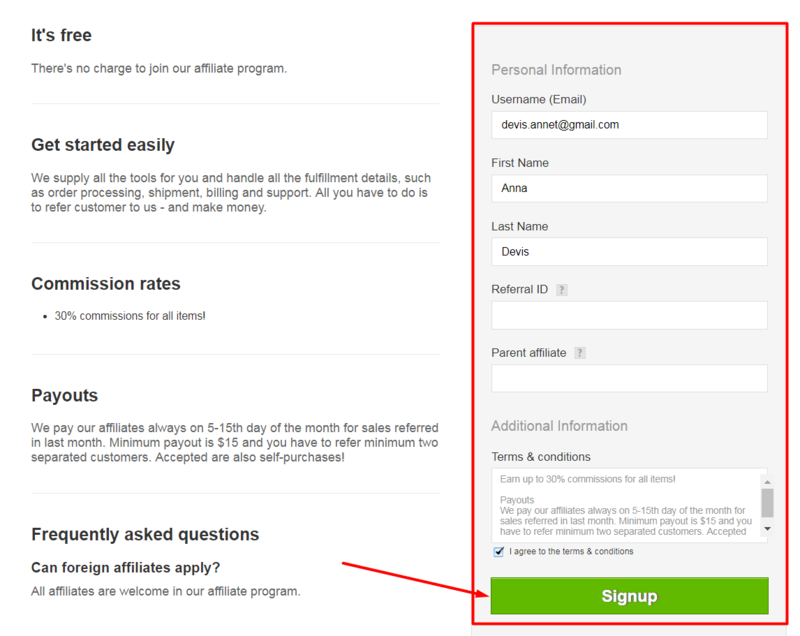 Come up with your affiliate ID (to be used to generate affiliate links) and enter it in the field: “Referral ID”. Or, leave the field blank and the system will automatically generate it for you. Click “Signup”. 3. A link to log in to your personal account and password will be sent to the e-mail address specified during registration. 4. Log in using your email address and password or log in from the page for partners. How to get referral links and banners? 1. Go to the “Banners and links” section and select the language version of the website you would like to promote by specifying the campaign: com, ru, de, jp, or br. “Text. 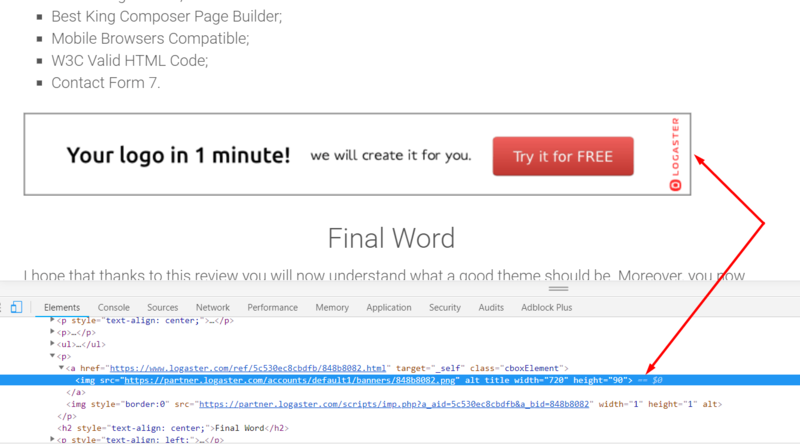 Link” — to get a text link that you can use, for example, in reviews or email newsletters. “Image” — static horizontal and vertical banners for publication on your website. 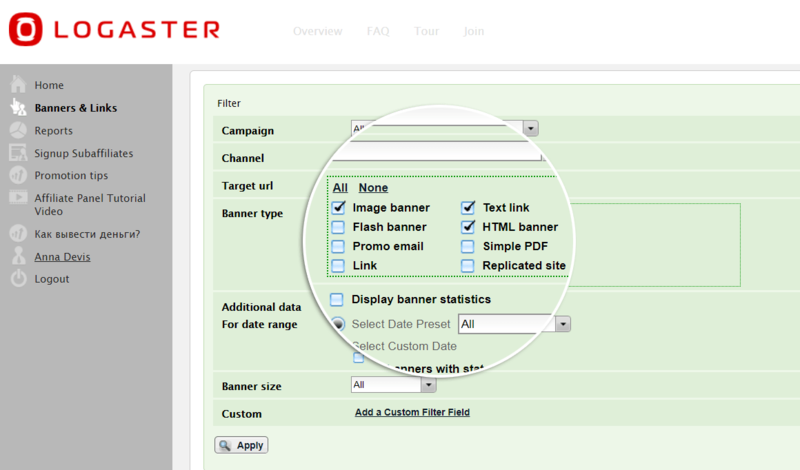 “HTML banners” — a convenient widget that will allow your users to get their logo without leaving the partner’s website. 3. Select the target-oriented URL (the page your users will go to) and click “Apply” to save the settings. 4. Now click “Get banner code”. Copy the code and paste it into the page code on the website. 5. Also, we offer a feature for our partners to place a form to create a logo on your website. 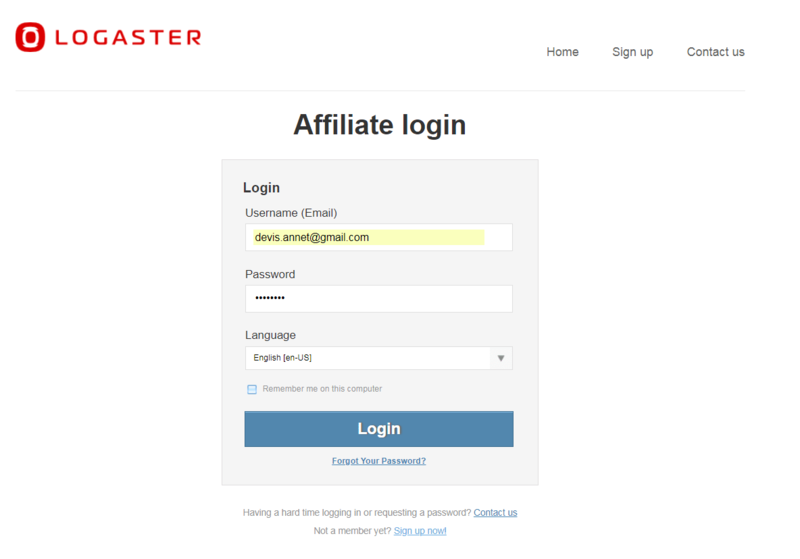 The advantage of this affiliate tool is that the client on the partner’s website creates a logo in a special widget, and to make a payment, the client is redirected to Logaster. 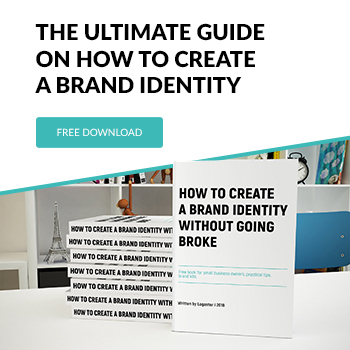 Thus, the partner does not need to organize the reception of payments and provide any support to customers, and the latter will save time to get acquainted with the site of the logo generator and immediately proceed to the stage of logo creation. 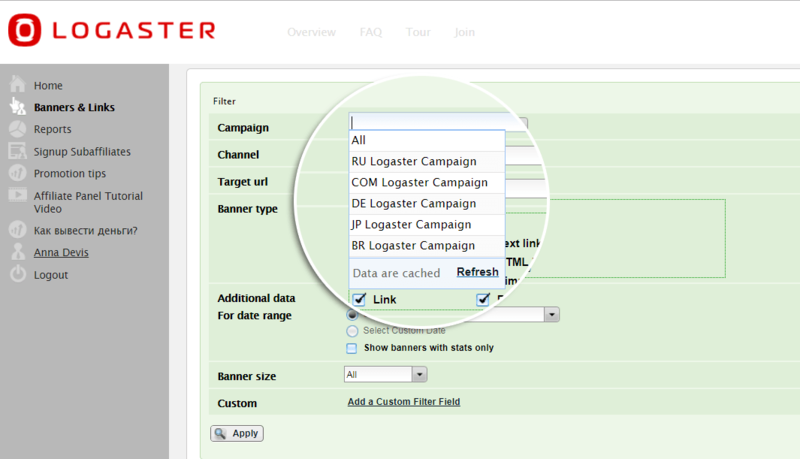 To place the widget on your website, send a request to the email: support@logaster.com. 6. We will create a form that will fit perfectly into your website design. 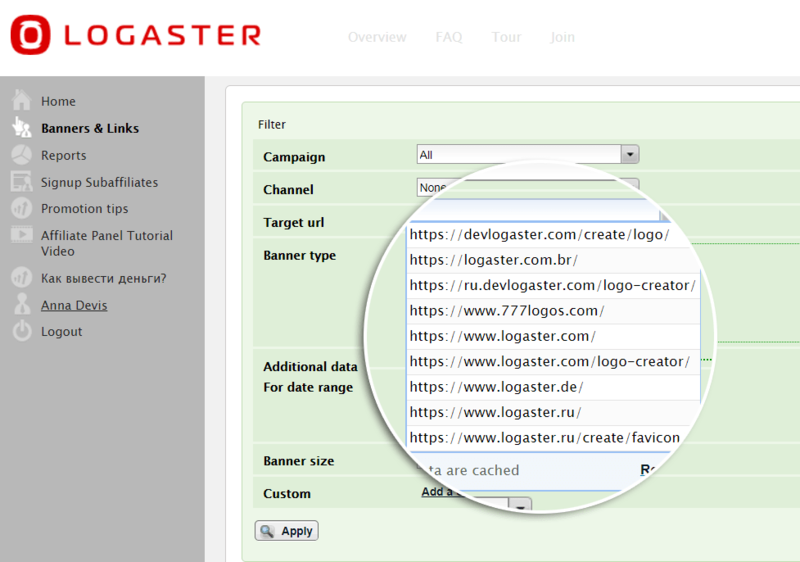 For example, this is how the Logaster widget looks like on the partner site logowiks.com. In the control panel, you can track the statistics of clicks on the affiliate link, the number of sales and commission available for payment. 1. Go to “Reports” to get access to the General statistics of your affiliate account. 2. In the “Quit stats”, you will get information about all the tracked events – impressions, clicks, sales and commissions for the selected period. 3. The “Analytics” shows the trends of operations in the graph and data form. You will have a clear understanding of how well your affiliate program is developing. 4. You can get a list of all transactions and commissions registered by the system in the “Fees”. Also, you can get a bonus of $5 for the registration in the affiliate program. and a convenient way to get your money — PayPal, WebMoney, Bank transfer. Within a few working days, we will make your Commission transfer. If you have any questions, please contact our expert on working with partners: support@logaster.com.